TAMIL PETITION. RETURN NAGAPATTINEM SIBLINGS TO INDIA. CLICK HERE. MAHROOS AND MAHFOOZA STOLEN BY UK AUTHORITIES. JOIN OUR PETITION FOR FOREIGN MINISTER SUSHMA SWARAJ AND BRITISH HIGH COMMISSIONER SIR DOMINIC ASQUITH TO INTERVENE. We, the undersigned, are writing to request your urgent, joint intervention in the tragic case of Mahroos (boy, aged 8 years) and Mahfoosa (girl, aged 6 years), Indian children from Nagapattinam in Tamil Nadu, who have been removed from their biological parents for forced adoption by the local authority of Birmingham in the United Kingdom. There was no allegation of abuse or neglect by the parents of Mahroos and Mahfoosa. The only cause for the removal of the children was the parents’ dispute with the Birmingham local authority over a stipend and some free school meals which they applied for when the father lost his job after ten years in the United Kingdom. 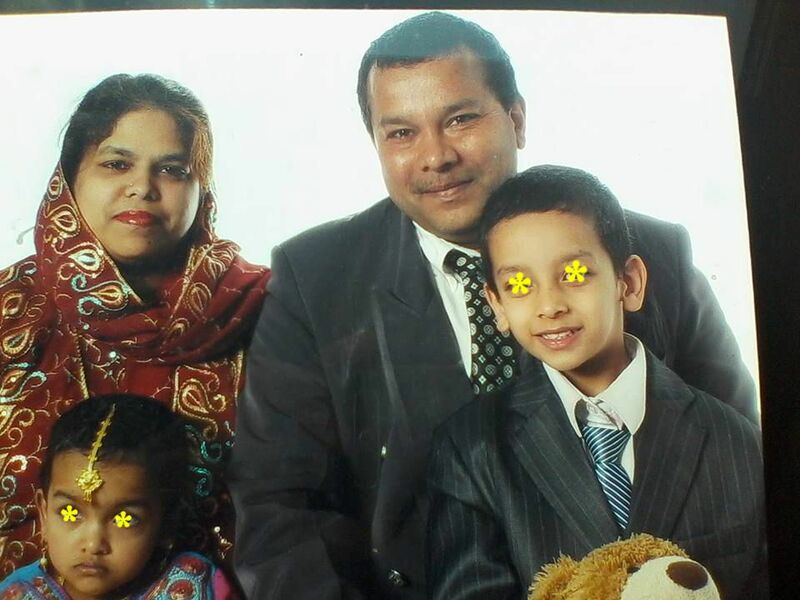 The Birmingham authorities claimed that the parents were illegal immigrants and were “using” their children to get naturalised in Britain. The Birmingham Family Court has recorded that the parents love their children, yet they cruelly ordered for the children to be removed saying that the parents’ dispute with the local authorities and uncertainty over their immigrant status caused emotional distress to the children. When the children were removed in mid-2015, their mother, who was pregnant with another child at the time, fled to Singapore on being advised that if the third child was born in the UK, it too would be taken by the authorities. The father has stayed on to try and win the children back. But the United Kingdom authorities have not even permitted the children to speak on the phone to their parents or family since the day they were taken. They were also never presented in court. At this point the family does not even know if the two children are dead or alive. The only request of the family is that the children be sent to their relatives in India. The children have not committed any crime and do not deserve to be deprived of their family in this manner. Their relatives in Nagpattinam, Tamil Nadu are well able to care for them. They have already appealed to the Hon’ble External Affairs Minister to intervene on their behalf to obtain the return of Mahroos and Mahfooza. We request that both the Indian and the United Kingdom governments intervene as a humanitarian gesture to repatriate Mahroos and Mahfooza to the loving arms of their extended family in India. There is an established procedure under international law for children of foreign-origin who are removed from parental custody abroad to be repatriated to their extended family in their native land. This is in keeping with the rights of children to their family, religion and culture under the United Nations Convention on the Rights of the Child, the Universal Declaration of Human Rights, the International Covenant on Civil and Political Rights and the International Covenant on Economic, Social and Cultural Rights, to which India and the United Kingdom are parties. The United Kingdom has repatriated such children to their native country in a number of cases, even in cases where the children were put for forced adoption by the United Kingdom courts. For example, the case of two brothers of Slovak origin who had been ordered for forced adoption by the United Kingdom courts in 2010, and were repatriated to their grandmother in Slovakia in 2013. In the past, other countries have agreed to repatriate such children to their extended family in India, notably Norway and the USA. It is our sincere and humble request for the governments of India and the United Kingdom to intervene to bring these unfortunate children back home.